No more double bookings or clashes with a personal schedule on your booking system. 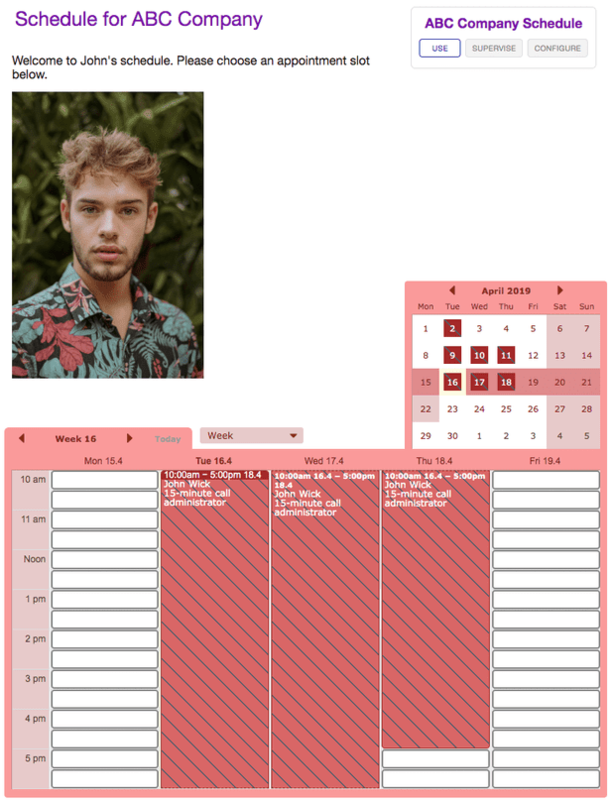 SuperSaaS allows you to customize your appointment booking availability, manage the booking hours and allows you to work with multiple calendars together. In this blog post, we explain the different ways to customize and display availability in SuperSaaS. Manage your working days and opening hours during which you want your schedule to be available. You can select on which days you want to accept bookings, and also add the off days for you or the organization. Next, enter the opening hours for each day individually. It’s impractical to stay available during the whole day when you also want to take into consideration the lunch hours of the day or set aside only a few hours each day for other work. You can take this into account by splitting the opening hours on your schedule. 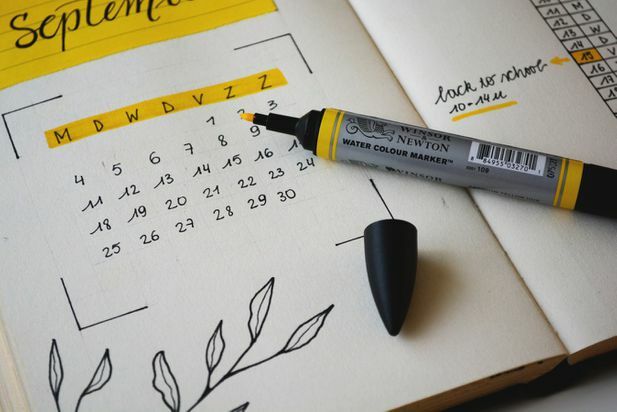 You may have important commitments on certain days, upcoming holidays or maybe you simply want to block off some time slots from your schedule. Manage these exceptions by completely closing the schedule or by creating different working hours for these specific dates (or date range). 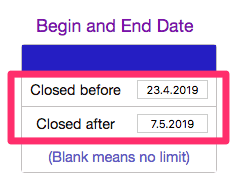 When you click on the “Create Exception” button you can view your special days listed under “Availability Exceptions” on the same page above this box. Note: It is possible to delete any/all of these exceptions by simply clicking on the red cross button on the ride side of each special day exception. By default, your schedule is open for bookings for an indefinite time period. You can edit this time frame depending on your individual requirements. 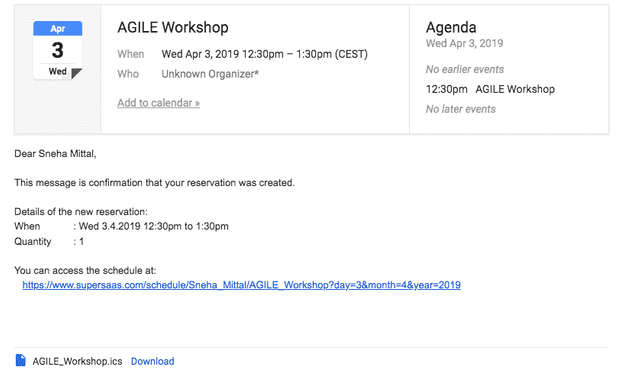 When you’re managing a special event, workshop or session available only between certain dates, you can choose to open your schedule during a specific time interval only. This would make your schedule inaccessible to users outside the available date range. Sometimes, you may want to block off certain time slots or certain days on your schedule. There are multiple ways to block out time on your schedule. One of the easiest ways to block certain time slots or days on your schedule is to fill up the time with a booking of your own. As an administrator, you’re not bound to limits so you can easily make a booking which is several days long (and avoid all time constraints). This type of booking counts as a single booking in the system and counts towards your total. Other ways to block off time include creating special days exception, adjusting the opening hours of your schedule temporarily and syncing your SuperSaaS schedule with Google calendar. These ways allow you to block off time on your schedule without reducing the bookings from the total booking limit available in your account. Meetings can take up most of your day, and erratic meeting schedules can hamper your productivity. Even though you cannot change the working hours, you can definitely encourage users to create an appointment within certain hours. You can achieve this by managing the hours visible on your booking schedule. Please Note: Visible hours differ from the opening hours on your schedule. Visible hours are the hours visible on your schedule to your users, while the opening hours are the hours during which you want to accept bookings on your schedule. Use the opening hours information to make your schedule visually appealing. For user’s convenience, you can allow them to book an appointment outside the opening hours. Don’t end up frustrated when the appointment end time falls outside your opening hours. Ensure the system only accepts appointments within the opening hours. Read our previous blog post, we explained how to get instant updates from your SuperSaaS schedule to your Google calendar. Handling multiple calendars can quickly become tedious. You want to make it easier for you and your customers to sync the appointment details to other calendar programs. You can easily add your SuperSaaS bookings to other calendars by exporting the appointments to other calendars. When you open this iCal file in other calendar programs. The appointment information is directly added to your calendar. Every time a user makes a booking, you can automatically attach the details in the notification as an iCal file. You can achieve this by using the magic word $ical in your notification messages. Note: Magic words are auto text which automatically gets replaced by some dynamic value when the message is generated. You can find the complete list of magic words in our support documentation via Support > Layout > Customizing notifications and reminders. The email might appear in a different format for other email providers. However, the iCal file will always be attached to the email irrespective of the provider. TIP: Read our blog post to find out how to customize your email and text messages. 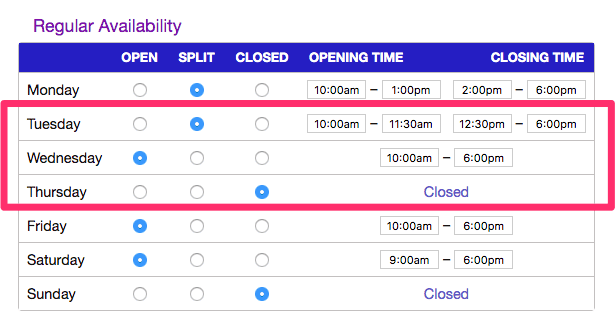 In addition to customizing your availability, you can also add advanced availability and booking constraints. You can find out more information about setting booking constraints in our support documentation via Support > User process > Setting booking constraints.